Christmas Casino Calendar Offers & Bonuses (2018) ++ Now Live! The Casino Professor is ready for Christmas, donning his smart Santa hat as he counts down the days. All that’s to do now is find a few presents for loved ones, but he’s made sure that his readers are well taken care of! His best casino bonuses for Christmas 2018 are already in full swing, with special casino advent calendars alongside many free spins and other treats. Merry Christmas from the Prof! Captain Rizk takes a backseat for a change as Santa and Rudolph bring daily Christmas rewards all the way up until 24th December. To select your stocking filler, simply log in to your Rizk Casino account and you’ll be presented with three gift-wrapped pressies. Up to £100 in free cash – no wagering requirements attached! Just make sure to claim these UK casino offers within 24 hours or else they will expire. Mr Green is a casino site that’s well-known for amazing bonuses and campaigns in general, so Xmas is certain to be a cracker! In fact, the green gentleman has already kicked off his festive celebrations with his very own casino calendar. As you probably guessed, it offers a bonus every single day. It’s as easy as your standard advent to take part in too. Just log in to your account, make sure to opt-in every day you fancy a stocking filler, and give the snow globe a shake. Something as tasty as chocolate will fall from it – such as Bonus Spins and cash prizes to holidays and gadgets! If you land a deposit bonus then you must have made a previous payment to be eligible for it. The Mr Green calendar extends beyond the big 25th too, all the way until 31st December. Nice! Another of those going down the bonus calendar route is LeoVegas – with the king of mobile casino sites offering a total of £220,000 in overall prizes. What’s fun and different about this December 2018 campaign, however, is that there is a set offer that repeats depending on the day itself – up until the December 26th promotional cut off date. Wednesdays: Get one free spin on Quickspin’s Northern Sky. The two players with the highest coin win from this spin will claim a cool £500! Fridays, Saturdays & Sundays: Two separate offers! Receive a cash prize if dealt a bonus card playing on selected blackjack tables in Chambre Séparée. Red bonus card = £50 / Green bonus code = £5. Play the selected Weekend Christmas Games by 22:59 on Sunday and get one ticket for every £100 wagered on a raffle. Cash prizes on the table. As for Christmas Day itself, LeoVegas are placing 7 no deposit free spins on NetEnt’s new Jingle Spin slot in your account between 10:00 and 17:00 (x35 wagering). 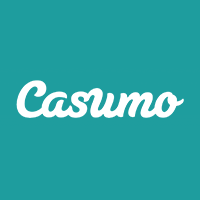 Casumo competitors, welcome to the 2018 casino winter games! Taking a slightly different approach, as you’d expect from an adventure casino, you are cordially invited to take part in 5 weeks of iGaming madness. + even more Christmas casino corkers! Here’s one for the ages – a special Christmas casino bonus infused with metal! As you’re probably bogged down with all the Christmas calendar bonuses and promotions so far, LV BET are mixing it up with some additional tournaments and a prize draw. You’ll still receive daily deals from the 1st December until the 24th, but competitions featuring LV Spins and cash will also be held during this time. It all finishes in style with the Gift Box Raffle worth £1,500. A total of 20 winners will be plucked at random, with tickets claimed through the calendar and tournament. The raffle will take place on December 24th for a nice, early present for those 20. It’s time to get your skates on at Casino Heroes, as their dedicated Christmas Island is now open to players. Consisting of 30 regions to unwrap, you have until Christmas Day itself (25th) at 22:59 GMT to explore the map – battling bosses for bonuses along the way. Minimum bets of £0.20 in real money will see you progress and there is a total of 48 treasures to collect.